Ashley and Addis are Labrador Retriever mixes. They are 4 months and 20lbs. If you are looking for a pup to run with and have fun with then Ashley and Addis are the ones for you. They love to run and play and love all people and other pets. Especially patient with children. Labradors are noted for being tail wagging happy at all times, loyal and love being with their people. These are an active breed and will need lots of exercise. They are truly man's best friend. Ashley and Addis really need a forever home. Come visit with them. They are hoping you will. In the canine heart there is always hope. Please lets find them a loving home! Beast is a Chihuahua. 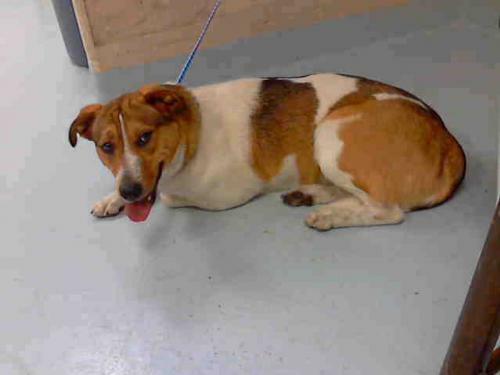 This shy boy has been through some tough times and is eager to give and receive love! He's the kind of dog that wants badly to find that one special person and cuddle up to him or her forever. He's about 8 years old and 13 pounds. 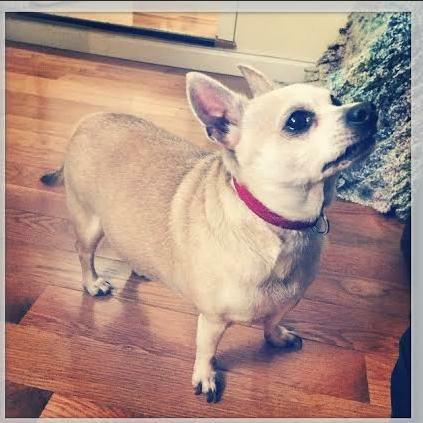 This meaty little Chi is in need of some serious TLC. He's slow to warm up but a real lover once he learns to trust you. He is even housebroken. Please lets find him a great home! 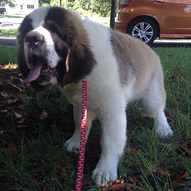 Chowder is a puppy Saint Bernard. He is the biggest, sweetest, fluffies, cuddliest love bug you'll ever meet. He loves toys and sitting in people's laps. The only thing he has not liked so far has been the heat. He is blind due to microphthalmia but other wise healthy. He is starting puppy class, and doing very well meeting new friends. Even though he is a big boy, he is still very much a puppy! This handsome boy would love a family of his very own to snuggle with. Please lets find him a good home! Holly is an Australian Cattle Dog/Blue Heeler / Collie / Mix who is just sitting in the local animal shelter hoping to find a family. Please lets find her a loving home!